We’re sure you really did have to stay late at work to finish up that assignment—but this report from Ashley Madison says otherwise. People in these top jobs are linked to having extramarital affairs. Office romances are often considered forbidden fruit (especially in the age of #MeToo), yet many workers can’t help but take a bite. In fact, one in four workers is either currently or has engaged in a workplace relationship, according to the Society for Human Resource Management (SHRM). While any relationship can get a little messy at times, getting involved with a co-worker comes with its own set of complications. What about PDA? What if you break up? What if you’re already married? Apparently, some workers aren’t as faithful to their spouses as they are to their jobs, The Independent reports. And new survey data from Ashley Madison, a dating website that helps married people have affairs, shows that certain professions tend to attract people whose greatest weakness is infidelity. According to the survey results, men who work in trades (think plumbers or electricians) tend to cheat the most, accounting for 29% of all male respondents. Chalk it up to irregular hours and shift schedules, which Ashley Madison says can make it easier for men to fly under the radar when it comes to sneaking around for a little afternoon delight, er, house call. For the ladies, it looks like they’ve taken roleplaying “doctor” to an entirely new level…or maybe just watched one too many episodes of Grey’s Anatomy. Either way, the results show that women in medical professions, like doctors and nurses, cheat the most, accounting for 23% of all women respondents. 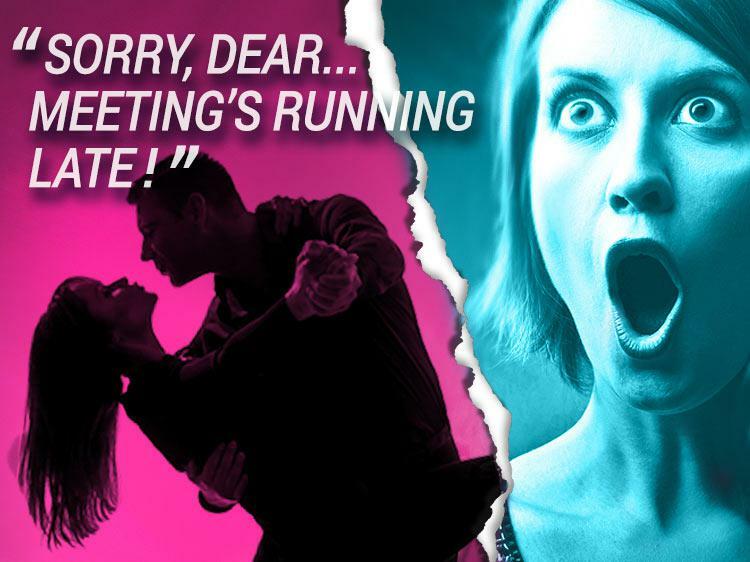 Ashley Madison cites long hours and high stress as two possible excuses for their indiscretions. While these are the top professions the survey found to be notorious for scandalous liaisons at work, we’re sure if you—or your significant other—are in any of the occupations in the list below, you’re probably too busy wiring circuits or saving lives even to have time for an affair. Right? What you do with your love life is up to you—that’s not our place to judge. But if you’re cheating on your job search, well, then we’re going to have to step in. Need some help staying faithful? Join Monster for free today. As a member, you not only get job alerts emailed right to your inbox, which cuts down on the amount of time you’d spend combing through ads, but you can upload up to five versions of your resume, each tailored to different types of jobs that interest you—just don’t lie! Recruiters search Monster every day looking to fill top jobs with qualified candidates, just like you. Don’t cheat yourself on scoring an awesome new job that you’ll want to love and cherish forever.